Washer and Dryer Repair Cleveland: Why is My Washer Loud? 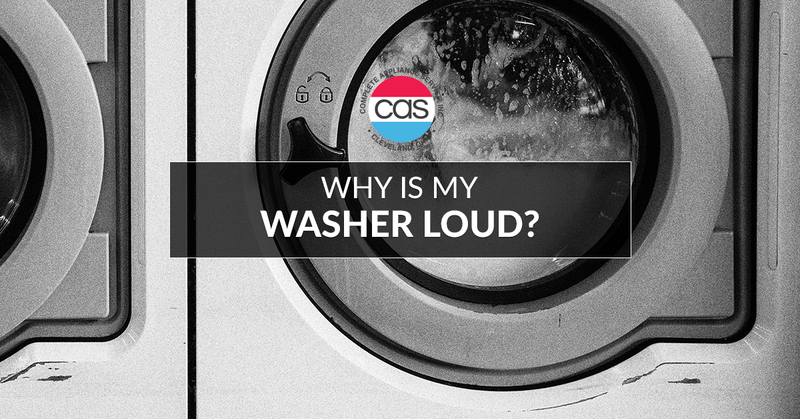 Why is My Washer Loud? All you’re trying to do is wash some clothes to wear tomorrow as you’re enjoying a relaxing night in. Then all of a sudden, it sounds like you’re washing a bunch of rocks. If your washer is making loud noises during your spin cycle, you may be panicking. Your washing machine is a staple of your household, after all. Fortunately, there is no need to let it ruin your evening; there is a good chance that your washer is being loud due to one of these simple reasons. You may even be able to fix it yourself! If your washer is making strange noises, here are the most common culprits. If you have a top-loading washer, the issue might be the motor coupling. This part is used to connect the motor to the transmission of your washer. Over time, the coupling wears down, which allows the two drive forks (connected to the motor and the transmission, respectively) to slip. When the basket spins, the drive forks make a rumbling noise against each other. Replacing the motor couplings should solve this issue. Alternatively, you may have a washer that uses shock absorbers to prevent the tub from making a lot of noise when its in use. Shock absorbers sometimes weaken over time, preventing them from stopping the tub from slamming around. Replacing the shock absorbers may be what you need to do to stop a washer from being noisy. 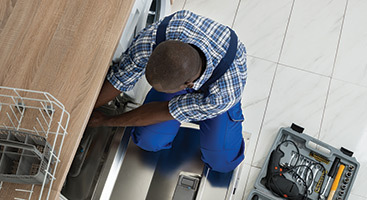 Tub bearings can be found in one of two places, depending on whether you have a top or front loading washing machine. Front load washers have the bearings on the back of the outer tub. Top loading washing machines have one bearing on the bottom of the transmission and another where it connects to the tub. Depending on the type of detergent you use, the tub bearings can be worn down, which causes your washer to be loud. The clutch is used to connect the transmission to the tub while the spin cycle is in action. After a while, it can wear down due to friction, which slows down the unit and causes scraping sounds. Often, the spin will be too slow to actually dry your clothes, so if you’re hearing a scraping noise and you’re finding your clothes soaking wet after the cycle, it’s probably the clutch. You may also find brake dust underneath your unit if your clutch requires replacement. On some top load washer, a belt is used to lift the pulley connected to the drain pump. The pump belt can crack, which can cause loud squealing when the machine is spinning or draining. You can determine if it is the pump belt by observing it. If it looks worn down, it might require a replacement. You might also smell burning rubber when you’re running the washer, which is a clear indication that something is wrong with the pump belt. If the noises from the washer only occur intermittently at certain points in the spin cycle, it could indicate an issue with the drain pump. 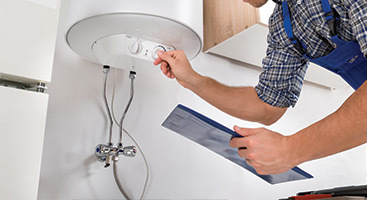 If you are only hearing the sound at particular intervals, start by checking the drain pump. It may be that it has become clogged or damaged. 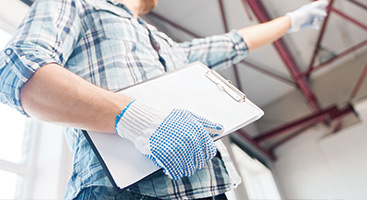 You may be able to fix the issue by cleaning the pump, or it may need to be replaced. On top load washers, agitator directional cogs operate part of the dual action agitators. They work by causing the cogs in the inside of the agitator to turn in one direction, and they reverse as the agitator reverses. Over time, these cogs wear out, which causes them to slip and make a loud grinding sound. You can see if these cogs are worn by removing the top of the agitator. These are only some of the potential causes for a noisy washing machine. At Complete Appliance Service, we understand why a noisy washer would cause some issues in your home. If you can’t determine the source of the issue, or you don’t have the time or expertise in this arena, we would be more than happy to help you correct this problem. 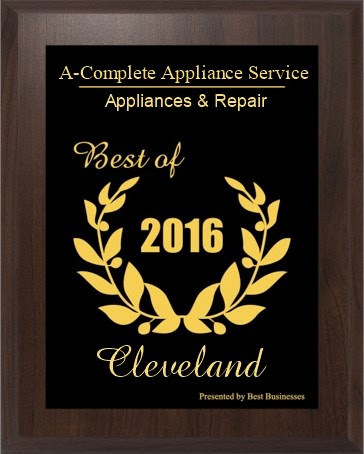 Contact us for washer and dryer repair in Cleveland!